In collaboration with colleagues from the ETH Zurich, researchers at the University of Bern, Switzerland, have for the first time investigated a substance found in liverwort that resembles THC. The psychoactive substance, which is consumed as a legal high, also exerts analgesic and anti-inflammatory effects, which might be superior to that of THC. Currently, the medicinal use of cannabinoids extracted from cannabis is a subject of debate around the world. In Switzerland, more people are advocating for increased research into cannabis. Today, tetrahydrocannabinol (THC) is used in the medical field to deal with certain types of pain, muscle cramps, dizziness and loss of appetite. However, it is an illegal narcotic, and, accordingly, can trigger side effects. THC in its pure form was first isolated from cannabis in 1964 by Raphael Mechoulam at the Weizmann Institute of Science in Israel. Until now, it was thought that cannabis was the only plant that produces THC. However, as early as 1994, Japanese phytochemist Yoshinori Asakawa discovered a substance in the liverwort plant Radula perrottetii that was related to THC. He named this natural substance perrottetinene. In this natural product, the individual atoms are linked together in a manner similar to that of THC, but they differ in their three-dimensional structure and exhibit an additional benzyl group. A few years ago, Jürg Gertsch from the Institute of Biochemistry and Molecular Medicine at the University of Bern discovered that liverworts were being advertised as so-called "legal highs" on the internet. At the time, nothing was known about the pharmacological effects of this substance. Together with chemists from Erick Carreira's team from the Department of Chemistry at the ETH Zürich, Gertsch's research team in Bern biochemically and pharmacologically compared THC and perrottetinene. Using animal models, they were able to demonstrate that perrottetinene reaches the brain very easily and that, once there, it specifically activates cannabinoid receptors. It even demonstrates a stronger anti-inflammatory effect in the brain than THC, which makes perrottetinene particularly interesting, considering its potential medical applications. "It's astonishing that only two species of plants, separated by 300 million years of evolution, produce psychoactive cannabinoids," says Gertsch. The study was published in the journal Science Advances. Low doses of THC have great therapeutic potential when it comes to treating chronic illnesses. However, to date, THC is rarely used therapeutically. This is because in higher doses, the substance has a strong psychoactive effect, and is a controlled narcotic. Andrea Chicca, a member of scientific staff in Jürg Gertsch's group, sees a potential for development in the therapeutic use of perrottetinene or similar substances: "This natural substance has a weaker psychoactive effect, and at the same time, is capable of inhibiting inflammatory processes in the brain." In particular, in contrast to THC, perrottetinene inhibits the prostaglandins in the brain that are factors causing inflammation. In doing so, perrottetinene has an effect on cannabinoid receptors, which is similar to that of the endocannabinoids produced by the body. However, according to the researchers, more studies are necessary, including pre-clinical models of chronic and inflammatory pain. Large amounts of this bioactive substance were required for the pharmacological investigations. 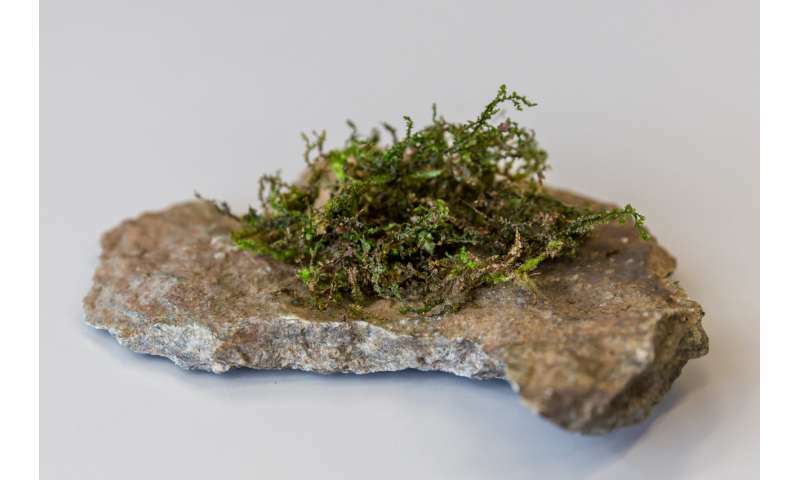 The collaboration with the chemists in Erick Carreira's group from the ETH Zurich was fundamental for this research project, because it would have been impossible to isolate the natural substance from the liverwort, which only grows in Japan, New Zealand and Costa Rica. To this end, Erick Carreira's group developed a new synthesis method specifically for controlling the three-dimensional structure on a molecular level. "The present study is a prime example of how new synthetic concepts can make a contribution toward enriching our pharmacological knowledge of biologically active natural substances," said Michael Schafroth in recognition of the ETH Zurich's work. As a Ph.D. student under Professor Carreira, Schafroth focused on new synthesis methods for cannabinoids. "Both solid fundamental research in the field of biochemical and pharmacological mechanisms as well as controlled clinical studies are required to carry out cannabinoid research," says Gertsch. To achieve this, researchers from various disciplines are working together.